The Trevor Loughlin Foundation Annual Rhulen Rock Hill Run & Ramble 2017 from Gabriel Espinosa on Vimeo. The R4 is one of the largest footraces in the Hudson Valley, and has raised more than $1,600,000 to date. The R4 benefits the Leukemia & Lymphoma Society and the Trevor Loughlin Foundation, which issues grants to patients battling blood cancer and other acute catastrophic illnesses. 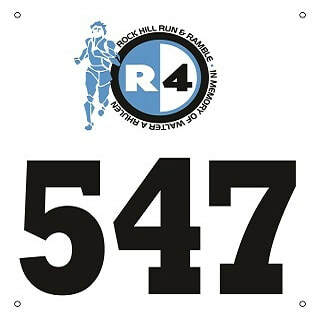 ​The Rhulen Rock Hill Run and Ramble (R4) is held in memory of Walter A. Rhulen, a dedicated runner and local humanitarian. The event benefits the Leukemia & Lymphoma Society, the Trevor Loughlin Foundation, and other local charities and beneficiaries. We hope you can join us ! Run, ramble, sponsor, register to become a bone marrow donor, visit the health fair, buy raffles, eat great food, and listen to live music. The Trevor Loughlin Foundation honors the legacy of Trevor Loughlin, son of Suzy and Joe Loughlin, brother of Juliette. Trevor exhibited kindness, compassion and empathy throughout his 21 years of life, and it is this legacy that energizes the foundation to find ways to help others.